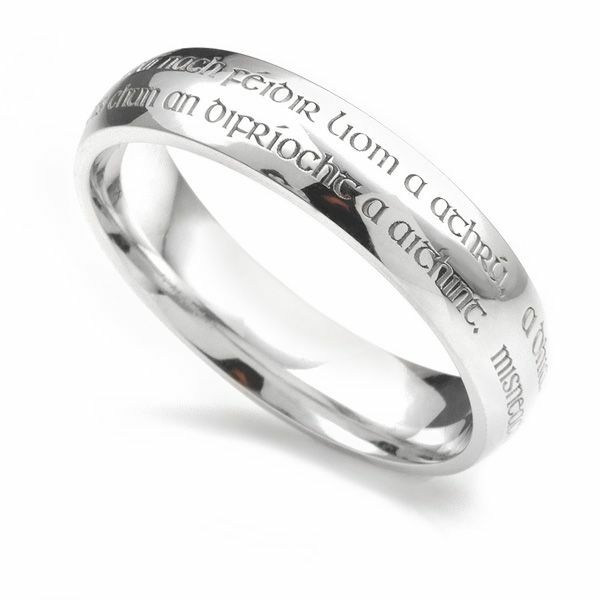 Imagine wearing your wedding vows, engraved on your wedding ring in this uniquely styled ring design, crafted to your chosen specifications. The Wedding Vow Ring enables you to capture the words spoken on your Wedding Day, within your Wedding Ring. Upon placing your order, we will contact you to arrange a suitable writing style and the precise wording. We apply the wording to either the inside or the outside surface, finishing the ring with either a mirror polish or matte texture. The most important words spoken between two people about to share their lives together can be remembered forever by precision engraving onto the surface of your Wedding Ring. Our recommended 5mm width is suitable for two lines of text appearing in a similar format to the ring shown in our main image. We have selected a beautifully curved traditional court Wedding Ring with comfort fit but please contact us for alternative ring designs. This design is also available in a range of precious metals to suit all, options are shown in the drop down menu above.